In the years following the Fukushima nuclear accident, complex congenital heart disease operations increased in babies born in Japan. While levels of radiation in the air have been declining, the number of operations for complex congenital heart disease remains high. 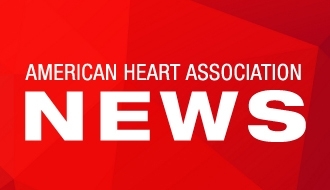 DALLAS, March 14, 2019 — Operations for complex congenital heart disease in infants increased significantly in the four years following the 2011 Great East Japan Earthquake and nuclear accident in Fukushima, Japan, according to new research in the Journal of the American Heart Association, the Open Access Journal of the American Heart Association/American Stroke Association. This study does not show a direct cause and effect between children born in Japan in the years following the nuclear accident and incidence of complex congenital heart disease. Complex congenital heart disease occurs in the early stages of fetal development resulting in complicated and severe symptoms that require advanced surgery. In many cases, these abnormalities can affect health over the course of the patient’s lifetime. After the Chernobyl nuclear accident in 1986, congenital heart disease in neighboring countries increased. While there has been no nationwide study of the effects of radiation on the Japanese population, the researchers focused on the incidence of complex congenital heart disease in children born after the nuclear accident. The researchers analyzed data on complex congenital heart disease operations in children from birth to 17 years of age between 2007 and 2014 collected by the Japanese Association for Thoracic Surgery. The number of operations for complex congenital heart disease in infants all over Japan increased 14.2 percent, whereas those performed on 1- to 17-year-old patients showed no significant change during the study period. The complex congenital heart diseases that showed significant increases were those known to occur during various developmental stages of the heart. The results suggest that damage occurred at various points in the early stages of heart development and not from damage to a single gene at a specific point in time. “Nuclear accidents may have wide-ranging adverse effects on various types of congenital heart disease. The earlier the radiation exposure happens in a developing heart, the more likely it is that the nuclear accident could have a negative impact on more parts of the heart,” Murase said. Researchers also note that, while the concentration of radiation in the air in Japan was declining in 2014, the number of operations for complex congenital heart diseases remained high. Stress to pregnant women, such as job loss, divorce, marital separation, or death of a loved one, is a known risk factor for some complex congenital heart disease. Since such stress likely occurred during the nuclear accident, researchers suggest that it may have played an indirect role in the increase of complex congenital heart disease. Co-authors are Joe Murase, B.S. and Akira Mishima, M.D., Ph.D. Author disclosures are on the manuscript. 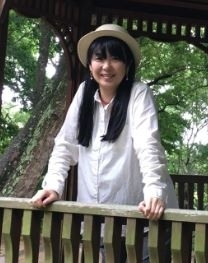 The Japan Society for the Promotion of Science and Nagoya City University funded the study.